Miami Car Accident Lawyers: Miami is one of the nation’s largest cities. Sprawling across 2,054 square miles of land, Miami is a huge cosmopolitan city that offers year-round sunshine and ideal vacation weather to attract visitors. Miami in general has so much to offer any traveler looking for a fun experience. Unfortunately for local drivers and visitors, Miami-Dade County is also the most dangerous place to drive in the state of Florida. For many years, Miami has battled other city’s statistics, such as, New York, for this less than honorable achievement. Every day it seems like there is another major motor vehicle accident in the news. DRUNK DRIVING ACCIDENTS ARE COMMON IN MIAMIHome to the World Famous ‘South Beach’, Miami certainly has plenty of party spots, such as Wet Willie’s, Fat Tuesdays and The Clevelender to provide local residents and tourists with a fun atmosphere during summer breaks and vacations. A problem that arises with so many great places to enjoy a good time is that of people drinking and driving. Drunk driving auto accidents are very serious, and can easily be deadly for the people involved with them. 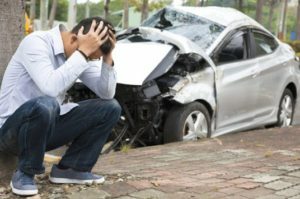 MIAMI CAR ACCIDENT STATISTICS AND THE BAD DRIVING HABITS AND ROAD CONDITIONS THAT CAUSE THEM The scary truth presents itself quite often in South Florida regarding reckless drivers. You do not have to drive much to see cars change lanes without turn signals, only yielding at stop signs, speeding and driving while texting. Even though these are extremely bad driving habits, they can be seen everywhere in South Florida. In addition to these habits, Miami drivers are left with even more obstacles which they must regularly deal with, such the poor road conditions, construction everywhere and mass amounts of drivers sharing the roadways. Our Miami Car Accident Lawyers represent auto accident victims who were injured in accidents due to roadways under construction. In 2010, Miami-Dade reportedly convicted 2,274 people on DUI charges. In 2011, Miami-Dade recorded an alarming 42,171 auto accidents, the highest in Florida above number two, Broward County, at only 23,210 accidents. In 2012, there were 284 fatalities in Miami-Dade resulting from automobile accidents. Miami-Dade leads the nation in hit-and-run accidents at over 12,000. While Miami has some of the world’s most beautiful sites, exquisite cuisines, and best weather, it also has its dangers on the roads. It is extremely important to know exactly how to approach the various types of accidents that can occur within Miami-Dade County. Legal knowledge on what can be done, and also what needs to be done, is fully provided to you by the experienced staff at Madalon Law. Based in Fort Lauderdale, our Miami Car Accident Lawyers have been helping victims of Miami car accidents get the compensation they deserve for their injuries. Contact us for your free consultation.